The word Raibneshe is believed to have been derived from rai meaning royal, and bnaash meaning bamboo, one of the weapons of war, akin to a quarterstaff, used by infantry soldiers in medieval Bengal. The Bengalis are believed to be a non martial race. Yet, until the battle of Plassey (CE 1757) where the British East India Company defeated the Nawab of Bengal, establishing Company rule in South Asia, the military prowess of the Bengalis was well known. Constituting a part of the local army in Bengal, from at least as far back as the early middle ages, was a group of infantrymen, mainly from the low caste Bagdi community, highly accomplished in a particular type of martial art - Raibneshe. The Raibneshe warrior was famed for his skills with the quarterstaff. Virile and manly in form, traditionally, this male-centric dance involves vigorous and powerful movements of the body along with the acrobatics of a raibnaash (a long bamboo stick), from which its name originated.  During the performance, the performers enact the actions of drawing a bow, throwing a spear and waving a sword. 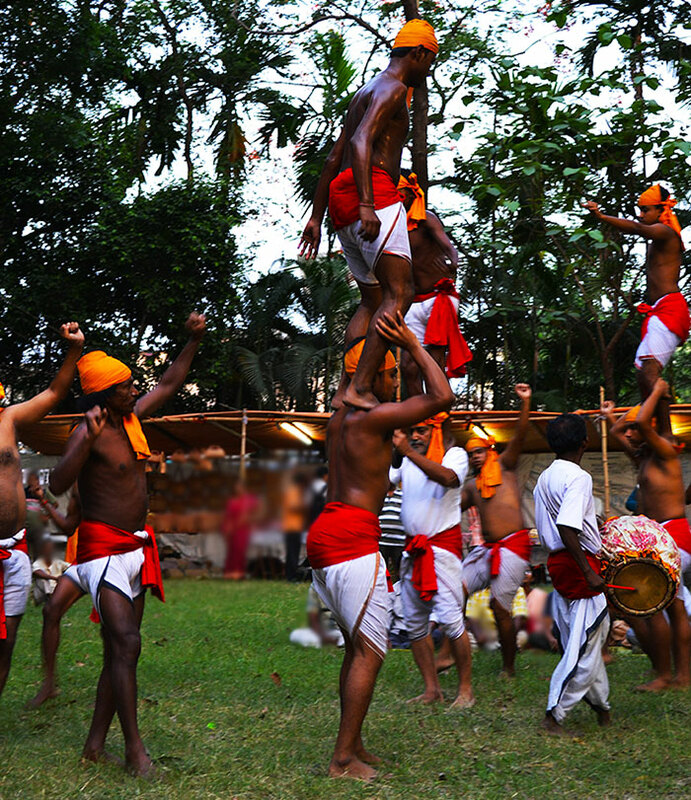 Virile and manly in form, traditionally, this male-centric dance involves vigorous, agile and powerful movements of the body along with the acrobatics of a raibnaash (a long bamboo stick), from which its name originated. During the performance, the performers enact the actions of drawing a bow, throwing a spear and waving a sword. According to local legends, the five Pandav brothers in the Indian epic Mahabharat took refuge during their exile in the Ekchakra village in present day Rampurhat sub-division in Birbhum in West Bengal. Here Bhim, the second Pandava brother, killed Hiramba, the raakshas (a race of mythological humanoid beings), and married his sister Hirimba. The son born to them was called Ghatotkoch who played a major role in the battle of Kurukshetra. According to local legends, Ghatotkoch was the ancestor of the Raibneshe warriors. It can perhaps be assumed from this popular legend that the original Raibneshe warriors came from the aboriginal tribes living in these areas. With the decline of Bengal as a military power, however, the Raibneshes were no longer in demand. Forced to look for alternative occupations, and with only their training in the use of sticks, staves, daggers, short swords to back them up, some of them found jobs as armed bodyguards for rich landlords, some others opted for robbery (the colonial rulers looked upon the Raibneshes primarily as gangs of robbers) while some of them found occupation as entertainers in social occasions like weddings. Converting their moves on the battlefield to a choreographed acrobatic dance to the accompaniment of powerful percussion, they became very popular in such social celebrations. These celebratory performances gradually became a lucrative occupation. It is held that in some cases, this traditional martial dance form had to compromise with consumer interests and changes were made in both theme and form. Raibneshe thus sometimes came to be known as raibeshi where Rai no longer meant royal, but the lover of Krishna, Radha, and beshi was thought to have come from besh meaning dress. With the feminisation of Raibneshe, women characters were introduced. Men dressed and acted as women and the main theme was no longer martial, but romantic. Raibeshi dance was also known as shokhinrityo (shokhi meaning girl-friend and nrityo meant dance). Gurusaday Dutt (CE 1882-1941), who was a member of the Indian Civil Service and served as the District Magistrate of Birbhum, chanced upon a performance of the Raibneshe martial dance in 1930, which evidently coexisted with its more degenerate version, Raibeshi. Mesmerised by the form, he not only helped to popularise it as a community folk dance form but also adapted it as a regular exercise regimen for members of the Bratachari Society that he had started for communal harmony and the spiritual and social uplift of the youth of rural Bengal. According to him songs, based on ancient legends of war, once accompanied this dance. Dutt composed a few songs in Bengali using the beats and rhythms of the dance and the accompanying instruments. The themes were however not of war, but that of contemporary reality and a principal message is the need to build bodies. Thanks to the efforts of Dutt and the patronage provided by a few zamindars (landowners) of his time, like Abinash Chandra Bandyopadhya of Sultanpur and Sourish Chandra Sarkar of Kirnahar, today, this folk dance form has survived in the districts of Birbhum, Murshidabad and Bardhaman. 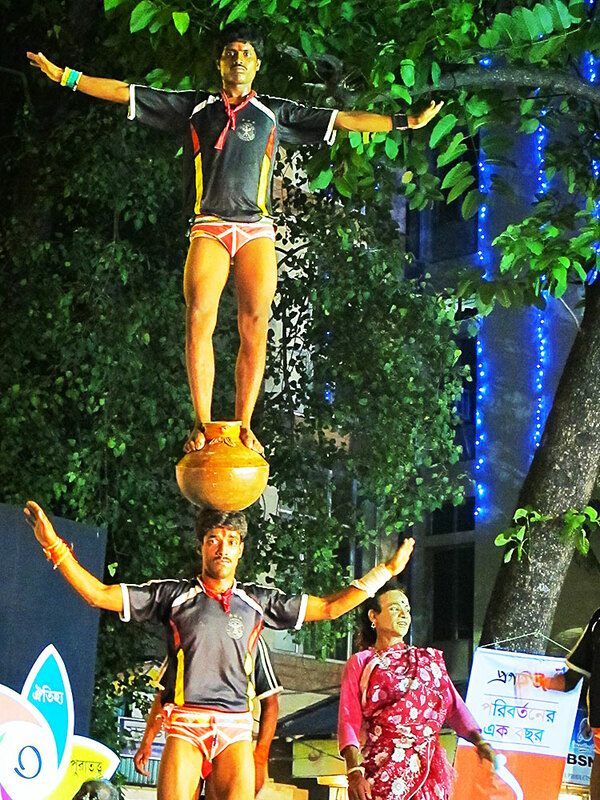 Performed by groups of men from the marginalized Bagdi, Bauri and Dom communities, and as part of the repertoire of the Bratachari Society, this vigorous and highly acrobatic martial dance requires tremendous agility, discipline and skill. In a highly charged atmosphere, accompanied by the pulsating rhythm of the dhak, dhol, dhamsha and kanshi, the dance is courage, vigour and manliness personified. 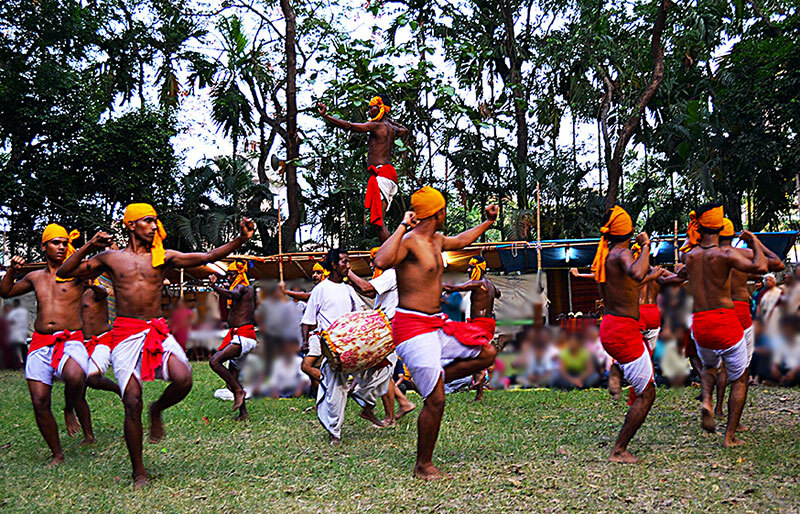 The dhoti clad performers, wearing a brass anklet (nupur) on their right ankle and a red sash tied around their waists, signifying spirit and valour, simulate battle actions like drawing a bow, throwing a spear, waving a sword, and perform breathtaking acrobatics, intricate stick or stave wielding acts, fire eating and other gymnastic feats. Raibneshe sometimes incorporates the use of ranpa (wooden stilts). In this form dancers balance themselves on bamboo sticks and dance to the notes of the drum. As a throwback to the alternate Raibeshi form, some Raibneshe performances today include a man dressed as a woman, who mingles with the performers and is expected to be an additional ‘draw’. Over the years many legends have grown around the Raibneshes and their physical prowess. There are stories of single Raibneshe warriors fighting and chasing away gangs of robbers. It is difficult to verify the authenticity of such narratives. Many of the traditional Raibneshe artists have now opted out of this profession which they no longer find economically viable despite some recent help from the State and the Federal governments. Today they engage in more profitable occupations like cultivation, share cropping or even plumbing, while Raibneshe performances remain a part time profession for most of them. The problem is compounded by their present impoverished condition. As martial dancers Raibneshe performers require physical strength which these communities, living at a subsistence level, lack. Some of the Raibneshe troupes today can be found in Kanturhat, Aloogram, Ramnagar-Shahora villages in Murshidabad, in Charkolgram, Mohula, Nouapara, Koshigram, Kumarpur, Bhudorpur Manashapalli villages in Birbhum and in Katwa in Bardhaman. The only living Guru today - a direct descendant of the people who originated the dance - is Shibram Pramanik. In his mid seventies, he still performs and trains.